The LA Times published the following image which turned out to be a composite. Click the image to see how it was made. Read about Brian Walski’s image here. 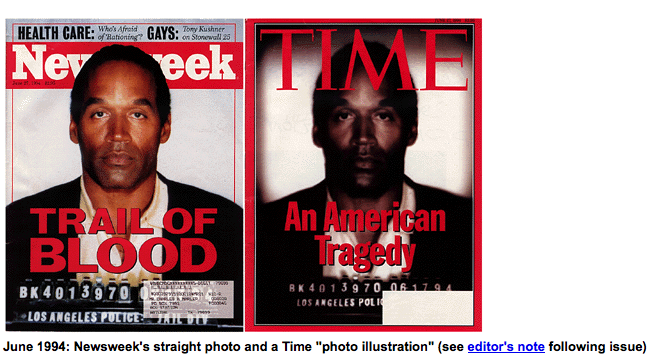 Here’s how Time and Newsweek handled O.J. Simpson’s mug shot in 1994. Time dodged the edges and his face to make it more striking, but not as accurate. 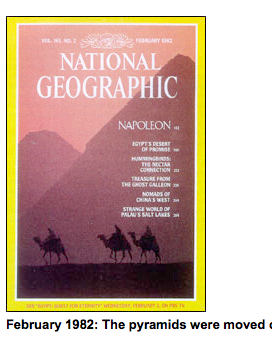 See more examples of stinky journalism here. 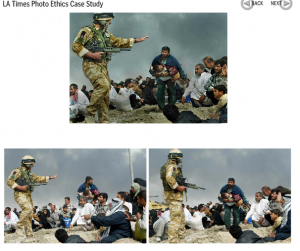 This entry was posted in photojournalism, Uncategorized and tagged ethics, photojournalism by michaelshead. Bookmark the permalink.